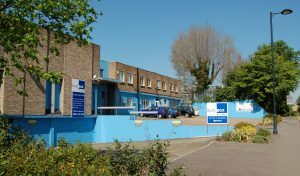 Our Hemel Hempstead centre provides self storage solutions for customers in Hemel Hempstead, Kings Langley, Radlett, Tring, Berkhamsted, Chesham, Harpenden, St Albans and other surrounding Hemel Hempstead areas and the local boroughs of Dacorum, Three Rivers and Watford. One months free storage on all units! Approximately 3 feet by 3 feet. About the size of a telephone box. Ideal for small items and boxes. Approximately 4 feet by 4 feet. About the size of a small cupboard. Good for boxes, tools, skis and small items of furniture. Approximately 5 feet by 5 feet. About the size of a small box room. Good for small items of furniture and white goods. Approximately 7 feet by 5 feet. About the size of a small bedroom. Ideal for furniture and white goods. Stacked correctly should take the basic contents of a 1 bedroom flat. Approximately 10 feet by 5 feet. About the size of a small bedroom. Ideal for furniture and white goods. Stacked correctly it should take the basic contents of a 1 bedroom flat. Approximately 12 feet by 5 feet. A little larger than our 50 sq ft unit. Stacked correctly it should take the basic contents of a 1-2 bedroom flat. Approximately 10 feet by 7 foot. Stacked correctly it should take the basic contents of a 2 bedroom flat or the contents of a Luton van. Approximately 10 feet by 10 feet. About the size of a small garage. Stacked correctly it should take the basic contents of a 2 bedroom house. Approximately 12 feet by 10 feet. About the size of a single garage. Stacked correctly it should take the basic contents of a 2 or 3 bedroom house. Approximately 15 feet by 10 feet. About the size of a double garage. Stacked correctly it should take the basic contents of a 3 or 4 bedroom house. Approximately 20 feet by 10 feet. About the size of a double garage. Stacked correctly it should take the basic contents of a 4 or 5 bedroom house. “Weekend access would be useful”. The size of your room will determine the costs. You may find you need a smaller space that you initially thought if your goods are stacked efficiently. It’s a good idea to make a list of the larger items you need to store and try to anticipate the additional items as well. We don’t charge any admin fees and all of our quotes will lay out the full costs for you including the security deposit and any additional insurance costs. 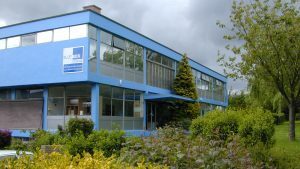 For a quote, please contact us with our form here or give our friendly centre staff a call on 01442 211 900. As a rough guide, if you feel you could pack your goods into a small bedroom, say 5ft x 10ft, that would be a 50 sqft storage room. A room, say 10ft x 10ft, would be the size of a single garage and would be 100 sqft. Once you know what you want to put into storage come along and see the range of rooms that we have available. 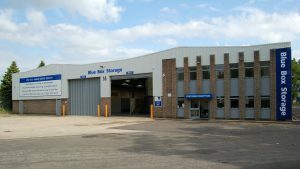 You will find our storage facilities clean, dry and secure, with 2 storage centres in Hertfordshire. 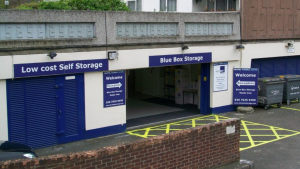 Our Hemel centre provides self storage solutions for customers in Hemel Hempstead, Kings Langley, Radlett, Tring, Berkhamsted, Chesham, Harpenden, St Albans and other surrounding Hemel Hempstead areas and the local boroughs of Dacorum, Three Rivers and Watford. For details about our other storage facilities click on the Farnborough, Watford and Maida Vale location pages. To find out further information please fill out our contact form. Call or visit us and we can advise you on what size storage room best meets your needs and how to make the full use of your room. We can recommend competitively priced professional removers and local van hire companies. Packaging materials are also available from our on-site shops. Long opening hours and 24hr access with unlimited access to your room. Trolleys, sack barrows and pallet trucks are available for your use at no extra charge. We can supply and erect shelving to maximise your space, ideal for surplus stock or archive storage. To start storing at one of our facilities we will require a refundable security deposit, equivalent to one month's hire, plus the first month's hire, payable in advance. All goods must be insured before storing with us, we can supply an insurance option or alternatively if your own insurance covers you for storage, all we require is confirmation of cover. Please ask for further details. You will require a padlock to secure your own storage room. We sell a range of quality Squire padlocks from our on-site shop. Alternatively, you can supply your own. For security purposes, we also require two forms of identification, a passport or driving licence along with confirmation of address (i.e. utility bill or council tax statement). If you have any further questions please do not hesitate to contact us at any one of storage centres where we will be happy to assist.